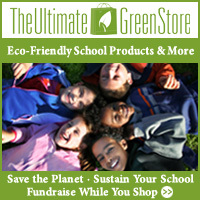 Greenwashing is a constant problem when you go shopping for eco friendly products. So many product claims have no legal definition. Fortunately, the FTC is in the process of changing that. They’ve proposed revisions to their “Green Guides” that help marketers avoid making misleading environmental claims. Can I say about time?! These guidelines haven’t been updated since 1998. A lot has changed since then in the marketing of eco friendly products. There’s a comment period open until December 10, 2010, after which the FTC will make the final decision. So what are the changes proposed? The proposed Guides also caution marketers not to use unqualified certifications or seals of approval – those that do not specify the basis for the certification. The Guides more prominently state that unqualified product certifications and seals of approval likely constitute general environmental benefit claims, and they advise marketers that the qualifications they apply to certifications or seals should be clear, prominent, and specific. Next, the proposed revised Guides advise marketers how consumers are likely to understand certain environmental claims, including that a product is degradable, compostable, or “free of” a particular substance. For example, if a marketer claims that a product that is thrown in the trash is “degradable,” it should decompose in a “reasonably short period of time” – no more than one year. They’re looking for comments on any of the changes, so if you have thoughts, now is the time to share them. These changes won’t cover everything. That’s really not a surprise. It’s hard to come up with a good definition for “natural” for example, that could never be used in a misleading way, as it so often is now. I expect that it’s going to continue to be wildly abused since it’s not going to be regulated. Such an easy claim to make, too. The rules in general may not be terribly specific, but environmental claims are hard to define in general. Hopefully these new guidelines will encourage more use of concrete evidence of claims made. In other industries such as weight loss, claims must be proven, but that’s more difficult when it comes to the environment and we don’t always know the full impact of what we’re doing. These guidelines aren’t law, but they do give the FTC a basis for declaring claims to be deceptive or unfair. They can order companies to cease and desist making claims that aren’t reasonable to make, or fine them if they violate the cease and desist. It’s not perfect, but it’s a step in the right direction. But it’s still going to be up to consumers to pay attention and spot the greenwashing claims. These new guidelines should help, but they aren’t going to solve the problem. Earth Day is a great concept. Encourage people to take better care of our planet. Make them more aware of what we’re doing to our environment and how to help make things better. But this is the real world. And that means corporations loooove Earth Day. What better chance for them to show that they’re wonderful, delightful, responsible corporate citizens who care about the things that we care about? No matter what they really do. I picked that one up over at It’s Getting Hot in Here. Jennifer Lance at Eco Child’s Play is frustrated with Lockheed Martin recommending green books for kids, and I have to agree with her point, even if some commenters bring up points on where the company makes some green efforts. I find it particularly scary that the study she mentions where they’re paying people to drink water contaminated with perchlorate every day for six months is happening not that far from me. Ewww! Not all posts remind me of how much greenwashing goes on. Sometimes they make me laugh because what they want me to do is almost impossible for me. Take this post on Mother Nature Network about Disney’s hat offer to celebrate the release of their movie, Oceans. All you have to do is six plastic bottles or aluminum cans to your local Disney store on April 22 and you’ll get a free hat made from recycled bottles. Do you have any idea how long it would take me to save that many plastic bottles or aluminum cans??? I mean, if they take milk jugs I could manage it in a few weeks, I haven’t entirely eliminated plastic from my life, but I don’t buy drinks in small containers if I can help it. If this frustrates you like it does me, just keep trying to be green and encouraging others to do so as well. Don’t let the greenwashers fool you. Speak out when you see greenwashing in action. Most of us won’t manage to live a perfectly green life, even on Earth Day. But we can keep trying to do better.